At airports all around the country during any busy holiday season, thousands of uniformed passenger service workers — including cabin cleaners like me, wheelchair attendants, ramp workers, security officers, skycaps, customer service agents and more — are in constant contact with the traveling public. Passengers, who see our uniforms and know that we're in the terminals every day, look to us for help. And, God forbid, if something terrible happens, we are going to be (and have been) on the scene, and people will (and do) turn to us as a source of assistance. 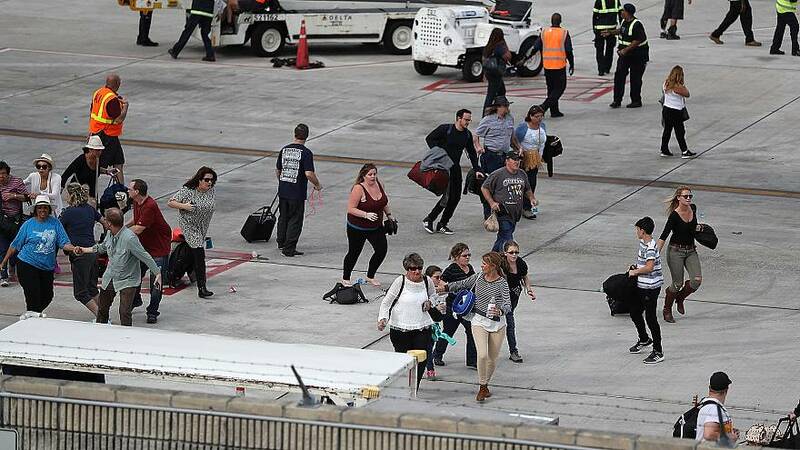 But in the Ft. Lauderdale airport — where I work — 64 percent of contracted airport workers reported receiving no emergency preparedness training, presumably because the companies who employ us are not required to provide it. In Denver, two-thirds of wheelchair attendants surveyed report not being trained on emergency evacuations, even though they are responsible for some of our most vulnerable travelers. This lack of training (which seems to be widespread in the United States) is shocking given the sheer number of mass shootings and other attacks happening throughout the country. In the Ft. Lauderdale airport, 64 percent of contracted airport workers reported receiving no emergency preparedness training. I should know: I was working on January 6, 2017 when someone opened fire at Ft. Lauderdale International Airport at the terminal in which I work. And yet, to this day, most of my fellow contract employees and I still do not receive mandatory emergency training, even on where the evacuation routes are. On the day of the shooting, I was finishing up my work on one of the planes when I noticed a disabled passenger was still on board. My heart began to pound; that person should not have been on board, so I knew that something was wrong before I even heard news of the shooting. I immediately got off the plane and tried to figure out what I could do to help. It was chaos, though, and people were running everywhere. I joined a group of other airport workers and, though almost none of us had any training, we used a truck that was on the ramp to take elderly people and children out of the terminal. We all felt a huge responsibility to bring people to safety, but had no real idea how to do that because no one had ever trained us on what to do. Among the people I helped was a family with a 5-year-old daughter. She asked me a simple question: "Will I die?" "No," I promised. "I will get you to a safe place." Truth be told, I had no idea where that place was. I should have known; I should have been told. Every person working in that airport should've been trained in exactly what to do in that situation because — and this is the part that we all need to face honestly — a shooting at the airport was not and is not outside the realm of possibility. And, worse yet, something just as bad is likely to happen again. Every person working in an airport should be trained in exactly what to do in an emergency. After all, the shooting at my airport wasn't the first: A fellow airport worker, Oscar Antonio at Los Angeles International Airport, was at work on the day in 2013 a shooter opened fire in Terminal 3. Like me, Oscar saw people running everywhere; like me, Oscar took women and children out of the terminal to safety. And just like me, he had no training on what to do in an emergency. On each of those days, a substantial amount of responsibility for passenger safety fell on my co-workers and me. We did everything we could do to make passengers safe. Now I want airlines, elected officials, and others to do the same. I can't stand by while the scene that I witnessed first hand plays out again and again. Airlines, airport contractors, and city and state officials need to do everything they can to make sure that every person who works in every airport, every person to whom travelers may look to in an hour of desperate need, has the necessary training to assist. Whatever cost savings contract employers get by limiting the training offered to workers like me isn't worth the price when there are lives at stake.